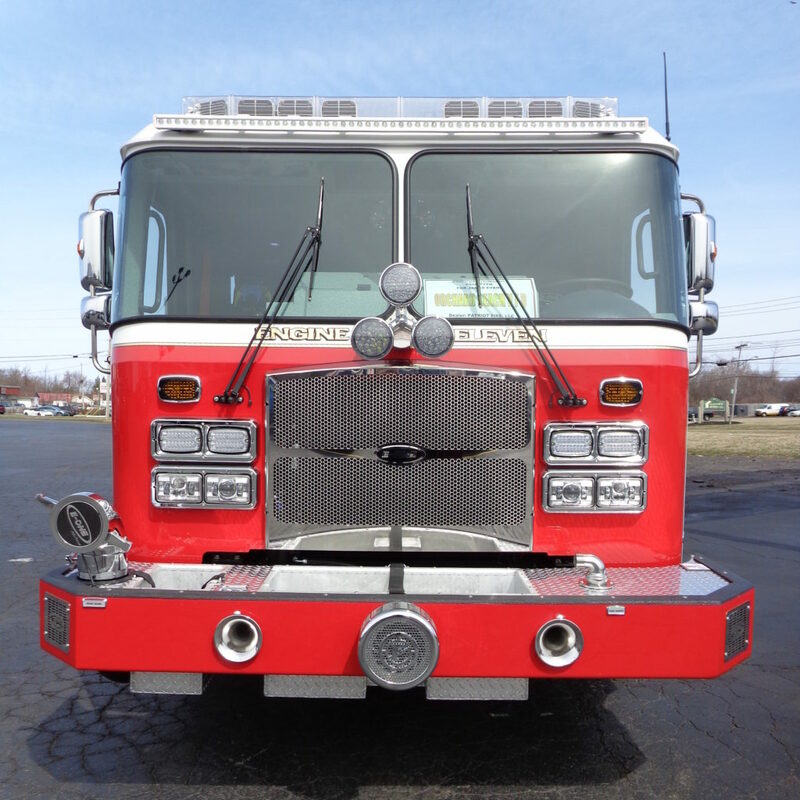 E-ONE’s manufacturing plant in Hamburg NY is 55,000 sq ft facility with dedicacted equipment for the produciton of stainless steel fire apparatus. Our ISO 9001 Certified Quality Management System and our Lean Manufacturing System ensure our continued focus on Customer Satisfaction, Safety and Quality. 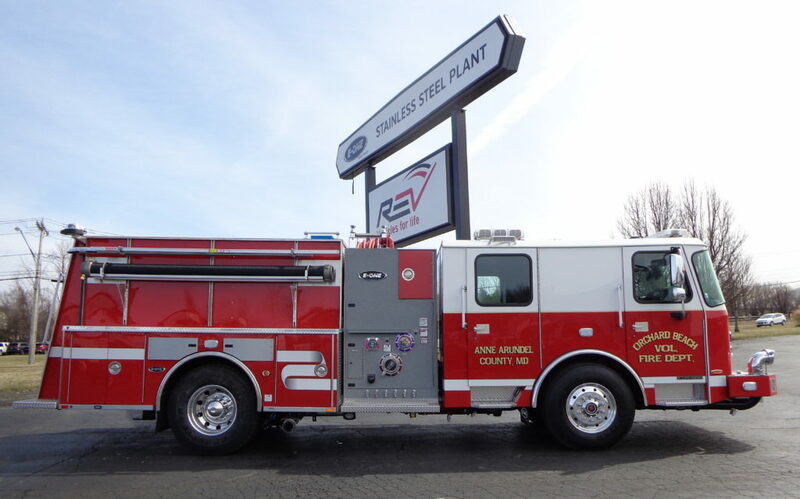 We offer scheduled plant tours for fire departments who would like to visit our facility. Use our contact us form to schedule a tour, or join us for our next Annual Truck Pull event. 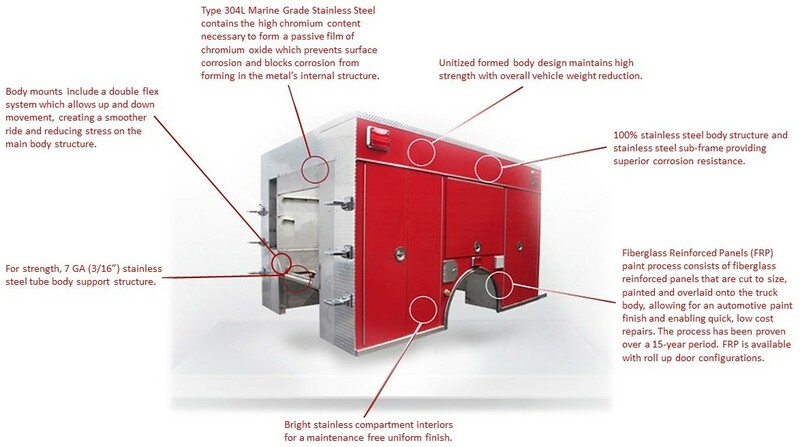 E-ONE’s stainless steel apparatus body is made entirely of stainless steel, including hinged doors and the sub-frame, making E-ONE stainless steel units one of the most durable on the market. Unitized break-form construction provides a lighter, stronger stainless steel body with double and triple bends. Unitized 12-gauge stainless steel offers improved weight distribution, increased equipment storage and water capacities – up to 1000 gallons of water on a 24,000 lb rear axle. Body mounts include a double flex system, which allows up and down movement, creating a smoother ride and reducing stress on the main body structure. Unitized formed body design maintains high strength with overall vehicle weight reduction. Bright stainless compartment interiors for a maintenance free uniform finish. For strength, 7 GA (3/16”) stainless steel tube body support structure. 100% stainless steel body structure and steel sub-frame providing superior corrosion resistance. Type 304L Marine Grade Stainless Steel contains the high chromium content necessary to form a passive film of chromium oxide which prevents surface corrosion and blocks corrosion from forming in the metals internal structure. Painted Stainless Steel or patented Fiberglass Reinforced Panel (FRP) option. 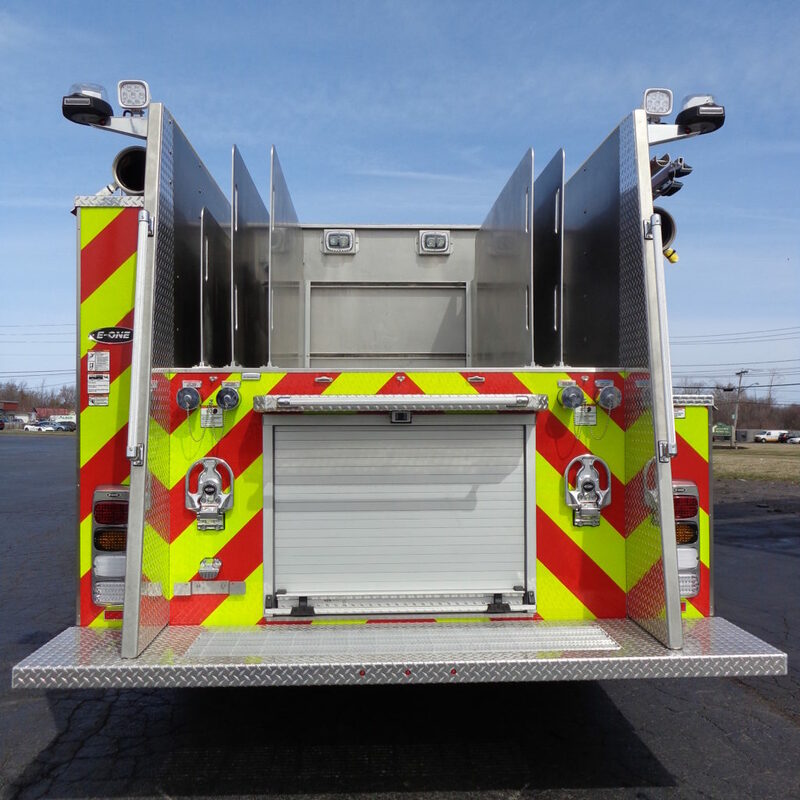 E-ONE’s stainless steel product offers a unique, patented Fiberglass Reinforced Panel (FRP) paint process, which offers a 10-year, non-prorated paint warranty and allows for a quick repair in the event the apparatus is damaged. 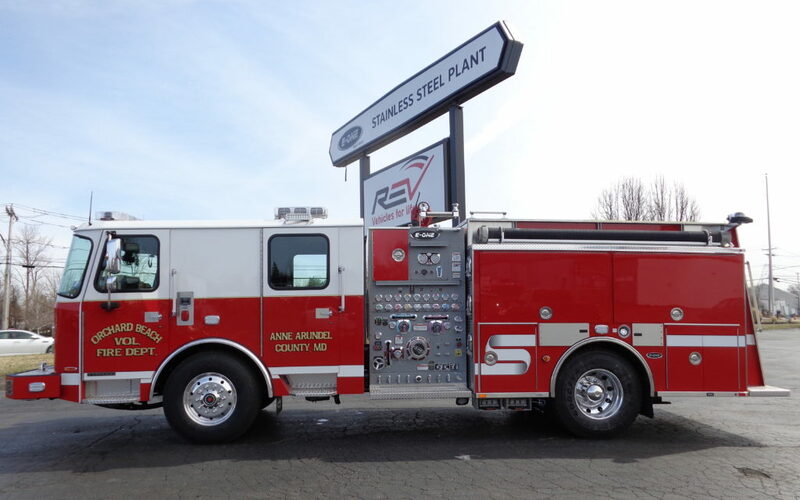 The process consists of fiberglass reinforced panels that are cut to size, painted and overlaid onto the truck body, allowing for an automotive paint finish and enabling quick, low cost repairs. The process was developed right here in Hamburg NY and has been proven over a 20-year period. For a full description of E-ONE’s products visit our main website at www.e-one.com.